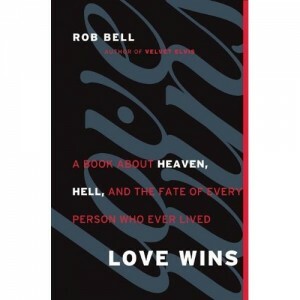 I finally got around to reading Rob Bell’s controversial book, Love Wins. I know that I’m on the tale end of the clamor that has surrounded this book. My delay in reading and contributing to the discussion comes from two things – a really full and packed schedule, and second, I didn’t want to buy the book so I had to wait for someone to get it so that I could borrow it (thanks, Mike!) I’m not going to approach this review like the more academic book reviews I’ve written, but rather, I want to try and demonstrate what a gracious orthodoxy looks like in hopes that you will be able to respond thoughtfully to those in your relational circles (after having read the book, of course). I’m going to divide this review into two parts so that it doesn’t get too long. I’ll begin with a general critique of his mechanics then talk about the strengths of his book. The second part will then discuss the weaknesses and misperceptions. To begin with, Bell’s book has much to be commended for, but his writing style is definitely not one of them. Truth be told, this was probably the biggest hindrance to reading his book. He writes like he speaks. Aside from being a personal pet peeve, Bell’s writing in this format allows him (or causes him?) to make some pretty disconnected and illogical assertions at times. Rhetorically, such devices are permissible in the medium of the spoken word, but on the written page it hinders, rather than helps. The format makes it difficult to follow his argument sometimes. It’s as if he just unloads a laundry list of examples or assertions without necessarily connecting them or showing how they lead to the conclusion he ends up making. It has great rhetorical effect, but that’s about all. Bell’s exegesis is also suspect in many places, but particularly in the area of word studies. Some of these are crucial to his argument, but he does not elaborate enough to show that he’s done his due diligence. Too often, it’s simply a ‘take my word for it’ approach. I understand that the audience and genre of the book don’t lend themselves to intricate lexicography, but some of his assertions about the meaning of words seem to be plain assumptions and wrong conclusions. For example, with the word ‘aion’ (a Greek word), he fleshes out its meaning as ‘a definite period of time with a beginning and end’. Thus, he says in the NT worldview there were two ages – one they were living and a coming one (p. 32). The problem is that he then makes the jump to equate the ‘age to come’ with ‘eternal life’. He supports this conclusion by using OT texts that talk about ‘the day’. The OT is written in Hebrew, so his conclusion faces the challenge of translational disparity. It’s like trying to explain what a word means in an English text by listing all the places in a Korean text that have the same concept. Although conceptually he may be able to make a connection between the concept of ‘the Day of the Lord’ and the ‘age to come’, lexically, his argument has serious deficiencies. He makes a similar hermeneutical error stating that the word ‘heaven’ was often used in the NT for ‘God’ (p. 42). Again, this is just plain incorrect. Bell’s hermeneutical deficiencies are cleverly hidden by the layout of the text such that one must be careful to follow his arguments not just for their persuasive appeal, but for their logical force. That said, Bell’s book has several strengths for which he should be commended. Much in the same rhetoric as N.T. Wright, Bell argues against an eschatology that simply sees Christians evacuating the earth and going to heaven when they die. This has personally been one of my greatest illuminations in terms of how I read the Bible. I would say it’s just below a God-centered hermeneutic of the Bible that I am indebted to John Piper and Jonathan Edwards for. In his second chapter, Bell presents the biblical idea that God’s will is being done on earth as it is in heaven. If we are consumed by a vision of leaving the earth, then we lose our motivation for ethical living and justice-oriented mission here on the earth. Not all is well with Bell’s argument, however. He mistakenly interprets Paul’s comments in 1 Cor 3 as representative of what the new heavens and earth will be like (p. 49). He uses Paul’s comments about the workman’s building being burned up as a warning to some about how they ought to spend their energies. This is important because he employs the imagery of flames in heaven to begin to put forth the notion of hell and heaven coexisting in one reality. Bell raises the point that we are in process. We won’t suddenly become new people, but rather our hearts are being transformed. He applies Paul’s comments in 1 Cor 3:15 – ‘one escaping through fire’ – to a person’s character when clearly in context Paul is talking about the testing of one’s ministry and the work he has to show for it. I raise this point because Bell erroneously builds on this point to apply it to one’s participation in heaven. 2. A beautiful picture of new creation. Related to the first point, Bell does a commendable job of giving us a picture of heaven as a present reality. Over and over again, I am awestruck over God’s working throughout human history to bring about the reconciliation of all things in Christ. I don’t know why I missed the recurring promises and patterns of new creation. “Behold, I am making all things new…” God says in Revelation 21, alluding to Isaiah 42:9, 43:18-19. God’s purposes are not just to populate heaven one by one, but to redeem a people for himself who will be zealous for good works. Bell drives home the point that God’s purposes are much bigger than just you or I at the center. He invites us to see our story in the context of a larger Story that includes all of creation (134). I am grateful that he recovers in practice a Gospel that is bigger than just the forgiveness of sins (though certainly not less than that), but also includes the redemption of the entire created order. The holistic Gospel that Bell presents – one that includes forensic justification (although he fails to fully apply it) and a creation-restoring, justice-motivating, society-redeeming agenda – makes the gospel as big and comprehensive as it is. It causes us to reject an escapist view of the world, and to engage it, all the while paying attention to our character and lives as we give the world a foretaste of the present reality now springing up in our midst. 3. A stern warning against presumption. A last strength that deserves mention is the warning against presumption. I believe that this was Bell’s motivation to write the book – the arrogant presumption that those who think they are ‘in’ make when they declare who’s ‘in’ and who is ‘out’. In the passage containing this quote, I’m not sure how he reaches this conclusion, but I agree with it nonetheless. He says later that we need to be extremely careful about making negative, decisive, lasting judgments about people’s eternal destinies (160). This much is true although I would say that this is different from having a theologically informed understanding about the realities of heaven, hell, and the new creation. If we believe that hell is a real place, and that unbelief and rejection of Christ put us under the deserved wrath of God, the extreme caution that Bell warns us against could be the most hateful response we could have. There is a difference between arrogant presumption and realistic urgency, and our attitudes could make all the difference. That said, we should pay attention to Bell’s warning about presumption and insensitive and careless pronouncements on the eternal destinies of our fellow man. I’ve tried to be as fair and as gracious as possible with the strengths of Bell’s book. I’m sure there are other helpful things he said, but these were the ones that stood out to me. As you can already tell, there is a lot that I disagree with, and I will post that in part 2 of this review. Stay tuned and in the meanwhile, I’d love to hear you comments or thoughts about the book or even questions about my review.